Cameron now has a smaller majority than John Major secured in April 1992. Major also secured a famous victory against expectations. Yet within months the glory turned to dust. Major never recovered from Britain’s ejection from the European exchange rate mechanism five months after the election. His government tottered from one disaster to another. And it was held hostage by right wingers who hated the European Union. David Cameron has made a costly promise to transform Britain’s deal with the EU, followed by a referendum on whether we should leave the EU. The next two years are likely to be dominated by divisions over Europe – exactly the issue that helped destroy Major’s administration. Pity the Liberal Democrats. They gave Britain five years of stable government after the hung parliament of 2010. They moderated the Tories. Yet they have been all but destroyed by it. Above all, the Lib Dem leaders seem far too comfortable in their ministerial limos and offices, and far too little concerned about the catastrophic rush to slash and burn public services. Small wonder we hate and distrust politicians when all three main UK parties rushed to reassure us during the election that services wouldn’t be axed right left and centre. Now, we face the mad axemen and the usual pointless, expensive reorganisations. We see a government in disarray, acting as arms seller to Middle East dictators while trying to talk up democracy in the region; trying to flog off England’s forests to the highest bidder while pretending to be green; and generally getting many other things so badly wrong. It’s not too late for the Lib Dems. The next few years will be tough but if they start asserting themselves, they stand a chance of avoiding oblivion in 2015. And Britain would be a slightly better place to live as a result. Clearly none of that happened, which is why respected Liberal Democrat MPs are now looking for new careers. The Lib Dems faced an impossible dilemma in the 2015 election: support or rubbish the record of the government they were part of. Oblivion was perhaps inevitable. There will be a referendum on Britain’s membership of the EU in the next two years. The right wing press will use every opportunity to poison the public against the EU, unlike in 1975. David Cameron will fail to win any significant changes to our membership, adding ammunition to those anti-EU forces. The British public has no great affection for the EU so there has to be a strong possibility that the English vote to leave. That prospect will give the SNP and Plaid Cymru a platform to demand a condition that all the home nations have to vote to leave. If Cameron refuses, we can expect a second Scottish independence referendum with a very different result. As before, the Tories are playing fast and loose with the union. 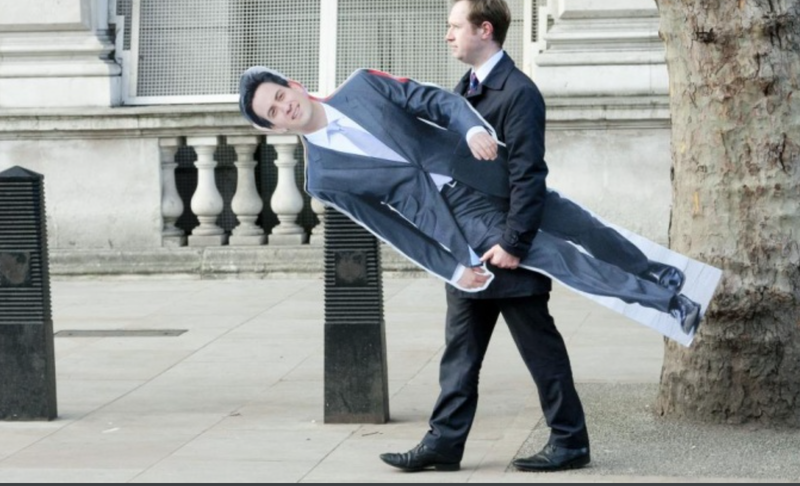 Ed Miliband has a good election campaign. But, as I blogged last year, he was a poor choice as leader. He is the ultimate political insider. He has never known a life outside politics. He disastrously thought he could disassociate himself from 13 years of New Labour. That approach destroyed him in the Question Time debate the week before the election when he failed to defend the deficit that Labour ran up bailing out the banks. Long before that, he floundered in interviews, parroting answers repeatedly rather than making a compelling case. I was disappointed by Tony Blair’s record in government. His lust to take Britain to war culminated in the catastrophe of the Iraq war. His inability to tame Gordon Brown was almost equally damaging (although Brown deserves credit for standing firm against the euro). And he never used those commanding majorities to create a new, progressive Britain – a tragic lost opportunity. But he understood that Labour had to have mass appeal rather than relying on a rapidly shrinking core vote. Ed Miliband didn’t get this. True, Blair didn’t face a rampant SNP, and arguably helped create the nationalist threat through the devolution settlement. But he was a popular and charismatic leader in a way Brown and Miliband never could be. If Labour is to bounce back, it has to find a new generation leader. It’s hard to see Andy Burnham or Yvette Cooper making any difference. It’s a shame that Dan Jarvis has ruled out standing for leader, as he has the background to secure respect and authority beyond Labour ranks as a former army commander. The party has to have a debate about the future rather than simply anointing a new leader as when Gordon Brown was crowned in 2007. The biggest priority of the new government must be to secure the union. There’s little doubt that the Tory emphasis of the alleged danger of a Labour/SNP alliance had an impact. Yet it secured extra Tory seats at the cost of threatening the union. The new Cameron government must take a less partisan approach. Some kind of federalism is inevitable although England’s dominant size makes this more challenging. Offering Scotland full fiscal authority, so the country has the right to tax and spend whatever it wants, has the advantage that it will be forced to spend within its means. No more subsidy from the rest of the UK. Sadly, human rights are not a priority for modern politicians. Given all the challenges facing the new government, it is appalling that Cameron sees abolishing the Human Rights Act as a priority. (It’s bad enough that he’s even thinking of abolition.) This is an example of the stupid party at work. The 1998 Act incorporated the European Convention of Human Rights (ECHR) into UK law. It meant that British courts could decide on cases rather than people going to the European Court of Human Rights in Strasbourg. Britain played a crucial role in creating the ECHR after the second world war. It has nothing to do with the EU, although dim Tories assume it is an EU institution. Abolition would be a futile act, akin to a hormonal teenager smashing up a bus shelter. But it also says volumes about a generation of immature Tory and Labour politicians playing to the Daily Mail gallery and sacrificing fundamental decency and common sense. This entry was posted in #GE2015, Politics and tagged #GE2015, David Cameron, Ed Miliband, Nick Clegg, Plaid Cymru, SNP by Rob Skinner. Bookmark the permalink. I enjoyed that. I feel exactly the same about it…At least it will be an interesting time ahead…better than the electioneering .It would make a marvellous piece repeating all the wild claims and promises made just a week ago! Really interesting and agree with virtually everything. Although not sure about federalism. I do think the SNP have sold their voters a dummy though. I agree about labour needing a Blair but it’s looking pretty scary at the moment. The number of angry comments against Chukka have to be seen to be believed. T has met him and he is very business savvy a refreshing change to Ed M who was just so angry. II do think he failed to have a fully coherent economic policy as he was obsessed about public sector wage increases with no discussion about raising standards. Also after Staffordshire you would think Andy Burnham would be more restrained. I think the divisions are getting so wide now. I agree LD’s failed to challenge enough but suspect it won’t help if they elect Tim Farron . I would prefer Norman lamb. The other point was that labour had so much money to promote their candidates as did the conservatives I think it makes a difference. I was so horrified to hear Michael Gove had supported hanging. I also dread the party’s reaction to the proposed sharing out of refugees amongst European nations. I really think we should make the case to take them on the fairness principles. Anyway really interesting piece Robert thankyou. Glad you liked it, Caroline. And credit to you for standing as a councillor – sorry it wasn’t to be this time! One thing I didn’t cover but should have done: the need for electoral reform. This election showed how outrageously undemocratic first past the post is.